Oh I hope winter is over, because today has really spoiled everyone around here today. Sunny and in the low 50’s! And they say the 60’s are on the way. We deserve this it’s been one long, cold, and snowy winter. Was able to get outside a couple of times today to enjoy this weather. For dinner tonight I prepared a Sharp Cheddar Turkey Burger w/ 3 Bean Salad and Baked Fries. 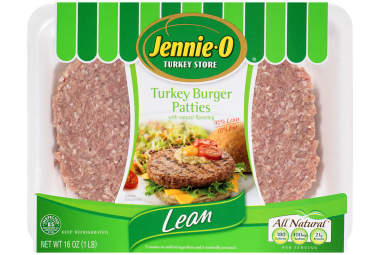 I used the Jennie – O Turkey Burger Patties (Lean). Only 180 calories and 9 g fat and already made into fresh patties. Pan fried them in a 1/2 Tbs of Canola Oil and seasoned it with Sea Salt and Ground Black Pepper. 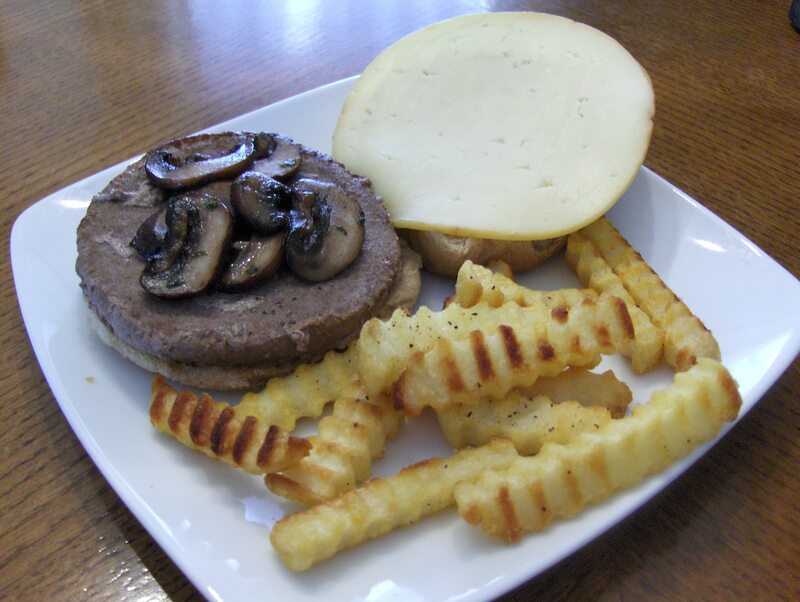 I served it on an Aunt Millie’s Reduced Calorie Whole Grain Bun and topped with sautéed sliced Baby Bella Mushrooms and a slice of Sargento Ultra Thin Sharp Cheddar. I also baked some Ore Ida Simply Cracked Black Pepper and Sea Salt Country Style Fries and had a serving of Read’s 3 Bean Salad. It comes in a can and you can prepare it various ways. I just opened the can and put it in a plastic bowl, put the lid on, and set in the refrigerator to chill for a couple of hours or so. I served these cold. For dessert later a Jello Sugar Free Double Chocolate Pudding. Outside most of the day, Sunny and 70 degrees! I wanted something easy to fix but also tasty and filling. I went with a Jennie – O Savory Turkey Burger. Fried on medium in Extra Virgin Olive Oil and seasoned with Sea Salt and Ground Black Pepper. I topped it with some Sauteed Baby Bella Mushrooms that were also sauteed in Extra Virgin Olive Oil and I Can’t Believe It’s Not Butter. I seasoned them with Ground Smoked Cumin, Sea Salt, Minced Garlic, and Parsley. I also topped it with a slice of Hardwood Smoked Gouda and served on a Healthy Life Whole Grain Bun. For a side I had Ore Ida Baked Crinkle Fries. Later for dessert a slice of Pillsbury Nut Bread topped with a scoop of Breyer’s Carb Smart Vanilla Ice Cream. 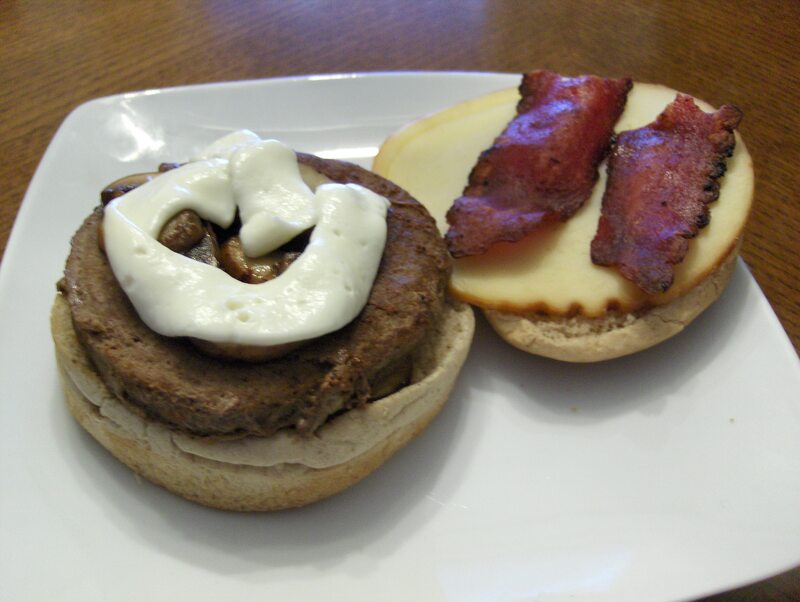 I got the idea for these burgers from Sandra Lee of the Food Network. I made some changes from her original recipe to cut the calories and carbs. I switched the Burger from Beef to Turkey along with switching to Turkey Bacon. The flavor of the Burger is fantastic! I’ll be making more of these this way. I topped it with a Bleu Cheese Butter, another Sandra Lee recipe. I wasn’t too sure about the Butter but I gave it a try and it was delicious. Perfect topping for Burgers and Bleu Cheese lovers!. I served it on a Healthy Life Whole Grain Bun. For a side I had Ore Ida Crinkle Fries. I left the recipes for the Burger and Bleu Cheese Butter at the end of the post. For dessert/snack later a 100 Calorie Bag of Jolly Time Mini Bag of Pop Corn. Thanks again to Sandra Lee and the Food Network! In a mixing bowl, stir to combine ground beef, 1/3 cup bleu cheese crumbles, bacon pieces, and steak seasoning. Wet your hands to prevent sticking and shape into 4 patties slightly larger than the buns. Cover with plastic and set aside in refrigerator. Your choice to grill, broil or fry the burgers. In a small bowl with a fork, smash together butter and 2 tablespoons bleu cheese crumbles; set aside. Just a Basic Turkey Bacon, Double ‘Shroom, Smoked Gouda, Mayo Turkey Burger on…. I really didn’t want a lot for dinner tonight so I had a Turkey Bacon, Double ‘Shroom, Smoked Gouda, Mayo Turkey Burger on a Wholr Grain Bun. 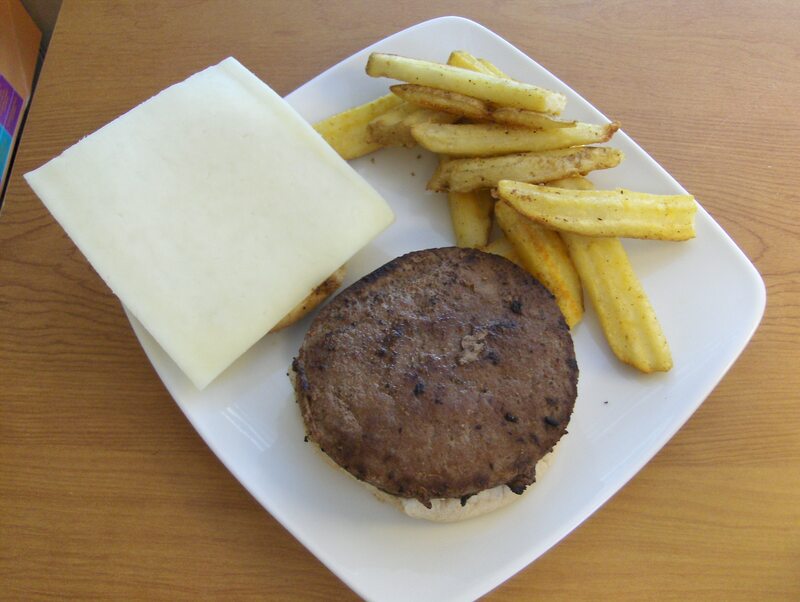 I used a Jennie – O Turkey Burger that I seasoned with Sea Salt and Ground Black Pepper. This morning I had baked some Turkey Bacon for breakfast and saved 1 slice of it for my Burger, I used Oscar Mayer Low Sodium Turkey Bacon. I topped the Burger with the Turkey Bacon, Sauteed Mushrooms, a slice of Smoked Gouda Cheese, and Kraft Reduced Fat Mayo w/ Olive Oil. The double “Shrooms is Mushrooms on top and bottom of the Burger, I like Mushrooms on anything! I served it all on a Healthy Life Whole Grain Bun. No sides just the Burger. For dessert later a Yoplait 100 Delight Chocolate Eclaire Parfait. 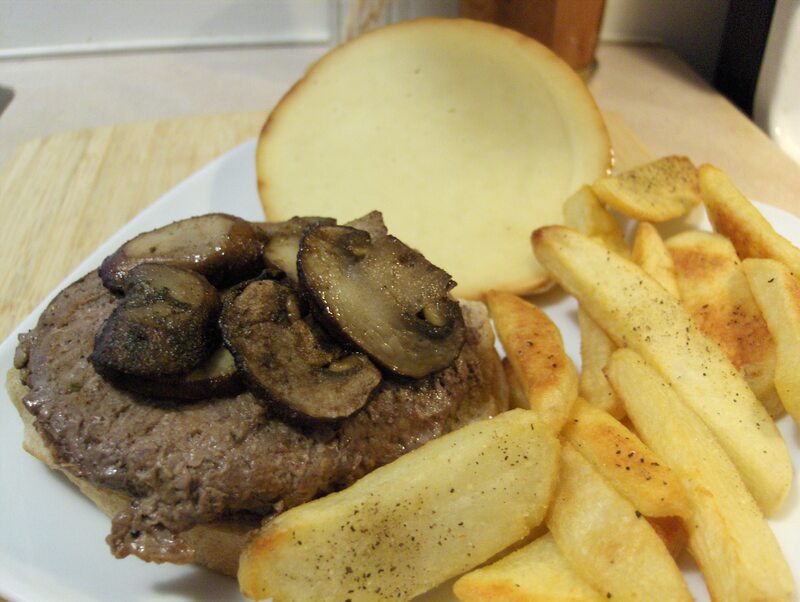 I had a Jennie – O Turkey Burger that I topped with Sauteed Mushrooms and a slice of Hardwood Smoked Gouda Cheese. Seasoned the Burger with McCormick Grinder Sea Salt and Grinder Black Peppercorn. Gouda is bit higher in calories than my 2% Cheese I normaly have but it’s worth it from time to time. Gouda is a great Cheese for any type of burger or sandwich. Rich and creamy and melts just right on the burgers. I seasoned the Mushrooms with Smoked Cumin, Sea Salt, Ground Pepper, and Ground Thyme. I had the burger on a Healthy Life Whole Grain Bun. Served it with Ore Ida Steak Fries that I baked. For dessert later a Yoplait Delight Chocolate Eclair Parfait. Turkey Burger and Fries for dinner. I used Jennie O Savory Turkey Burger Patties. Seasoned it with Sea Salt and Pepper and fried in Extra Virgin Olive Oil (1/2 Tbs) and after flipping the Burger I added a tablespoon of Kikkoman Less Sodium Teriyaki Sauce to it along with a Pineapple Ring on top. Served on an Healthy Life Whole Grain Bun. 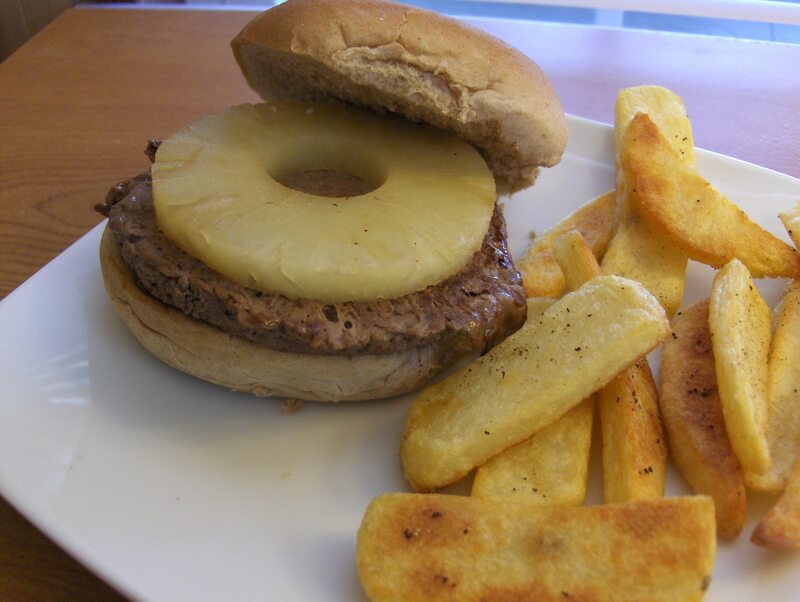 The combination of the Teriyaki Sauce and the sweetness of the Pineapple Ring makes one great tasting Turkey Burger! As a side I had Ore Ida Baked Steak fries. For dessert/snack later a Mini Bag of Jolly Time Pop Corn. 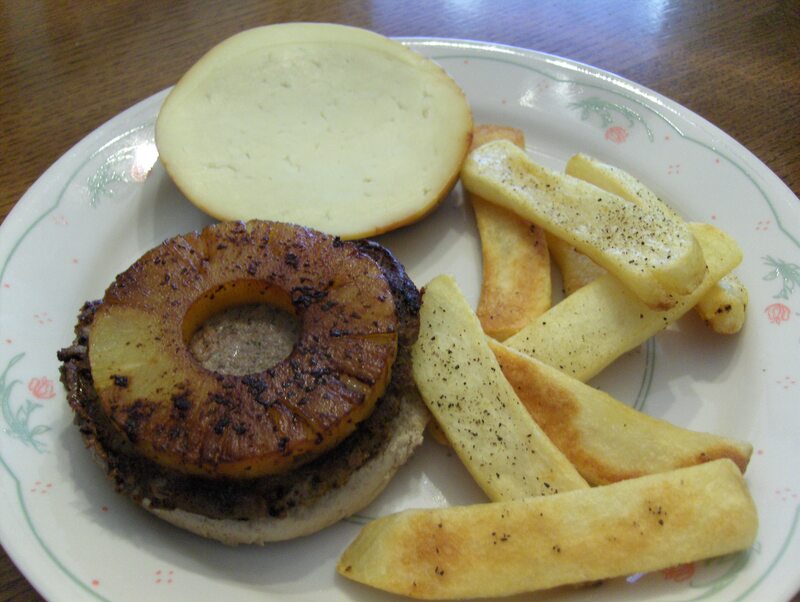 Today’s Menu: Turkey Burger Toped with Smoked Gouda Cheese and Pineapple w/ Baked Steak Fries. Turkey Burger and Steak Fries! I used Jennie – O Savory Turkey Burgers and topped it with a slice of Hardwood Smoked Gouda Cheese and a sliced Pineapple Ring, served on an Healthy Life Whole Grain Bun. As a side I had Ore Ida Baked Steak Fries. For dessert later a bowl of Breyer’s Carb Smart Vanilla Ice Cream. I had a Jenni – O Savory Seasoned Turkey Burger. These come premade and frozen. Pan fried 7 – 9 minutes or until 165 degrees in the center of the Burger. Topped it with a slice of Monterrey/Jack Cheese and served on a Healthy Life Whole Grain Bun. As a side I had Ore – Ida Steak Fries which were baked at 450 degrees for 16 minutes. Can’t get much easier! Dessert/snack later a bag of Jolly Time 100 Calorie Mini Bag of Popcorn. I’ll be showing 1 of the 15 foods to avoid along with an healthier alternative recipe. 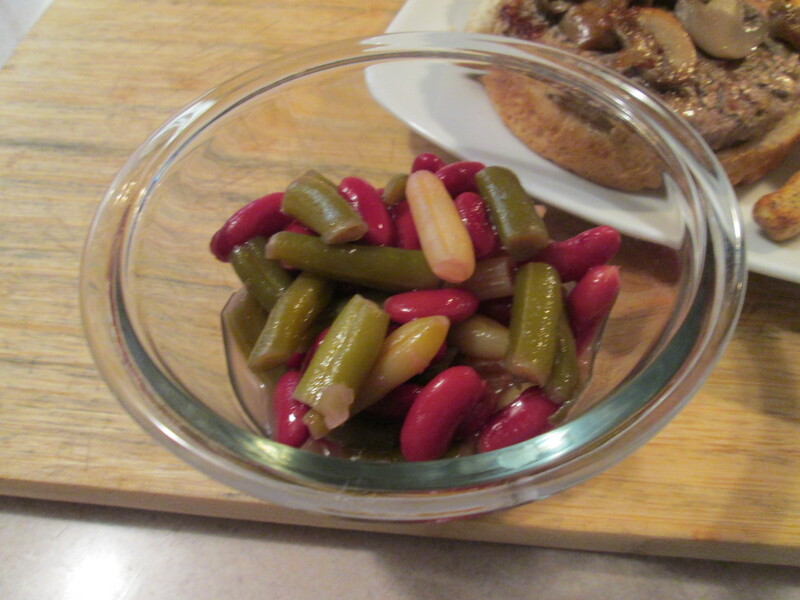 Another of many great articles and recipes from one of my favorite web sites, Diabetic Living On Line. These top food offenders contain high amounts of fat, sodium, carbohydrate, and calories that may increase your risk of high cholesterol, high blood pressure, heart disease, uncontrolled blood glucose, and weight gain. The good news is you can indulge in your favorite foods and still eat healthfully with our satisfying and delicious alternatives. Think making a sandwich for lunch is a safe bet? Unfortunately, processed lunch meat is full of sodium. Read the food nutrition labels printed on the packages you buy in the store, or ask your deli attendant to tell you the nutrition information for fresh-sliced meat. Cut the sodium by slicing meat you’ve roasted at home or by asking specifically for meats lower in sodium. Thai seasoning is a blend of seasonings that is reminiscent of the classic flavors of Thai cooking. The ingredients vary widely by brand but often include garlic, coriander, onion, cilantro, and pepper. Look for it at food specialty stores or larger supermarkets. 1. In a medium bowl, combine egg product or egg, bread crumbs, and Thai seasoning or curry powder. Add ground turkey breast; mix well. Shape into six 3/4-inch-thick patties. 2. Place patties on the greased rack of an uncovered grill directly over medium goals. Grill for 14 to 18 minutes or until done (165 degree F),* turning once. 3. To serve burgers, top bottom half of each bun with some of the basil. Add patties. Spoon peanut dipping sauce over patties; add mango slices and bun tops. Makes 6 servings. *Note: The internal color of a burger is not a reliable way to indicate if it is done. A turkey patty cooked to 165 degree F is safe, regardless of color. To measure if the patty is done, insert an instant-read thermometer through the side of the patty to a depth of 2 to 3 inches. 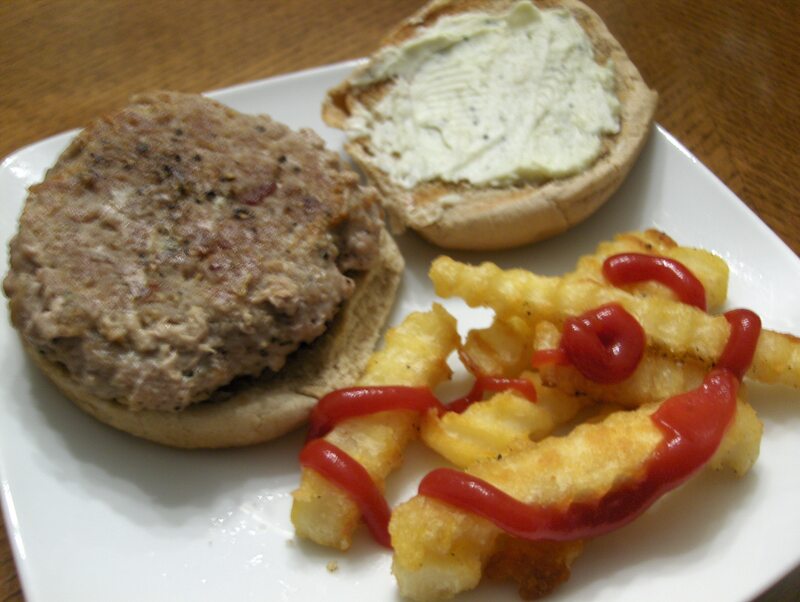 Had a Ground Turkey Burger seasoned with Sea Salt and Black Pepper. Topped with Mayfield Crumbled Bleu Cheese and served on a Healthy Life Whole Grain Bun. As a side I had Country Crock Cinnamon Apples. Dessert later Walmart Bakery Sugar Free Angel Food Cake.